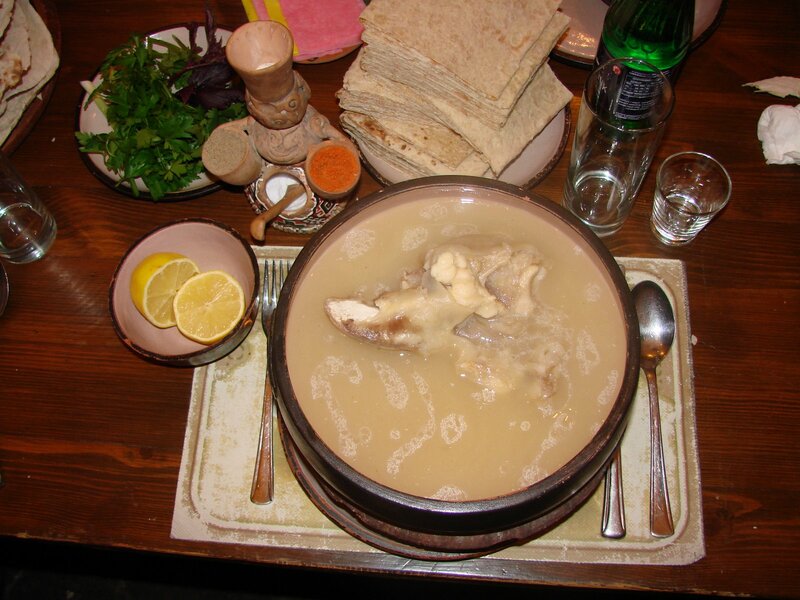 Khash (in Armenian Խաշ) is one of the most festive Armenian dishes eaten mostly in the cold season. 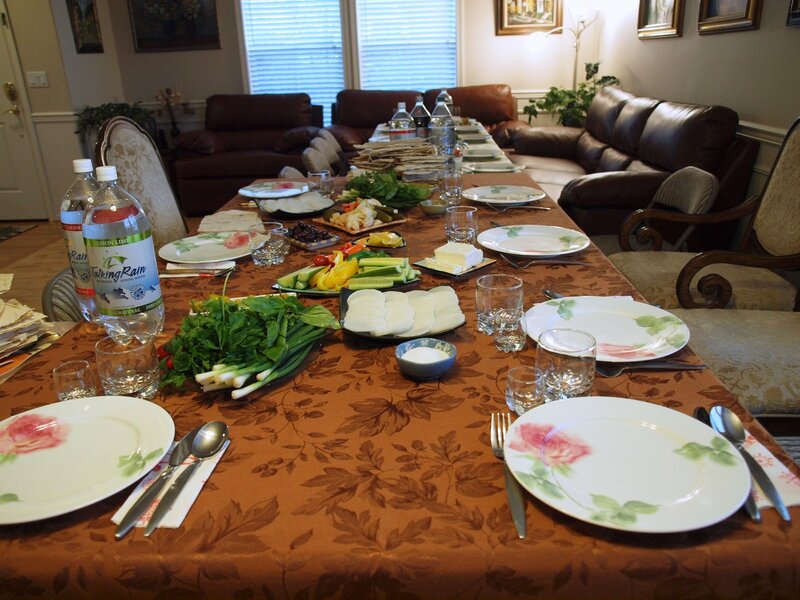 Its cooking and consumption is highly stylized and it is enjoyed early in the morning with good amounts of garlic and vodka. It is cooked by boiling bovine shanks for hours until the tendon falls off the bones and the water becomes a thick broth. Many times cooked stomach pieces are also added to the dish. There is no salt used while cooking, but it is liberally seasoned with salt and crushed garlic after the dish is served. Khash is never eaten alone, it always a party dish. Instructions on how to eat Khash. I would put the salt & garlick before taking out the meat, though.